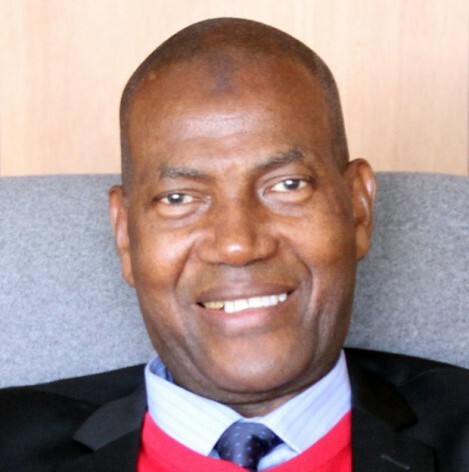 Dr. Ousmane Sylla is the Ambassador of Guinea to the European Union and was formerly Guinea’s Minister of Mines and Geology. He chaired the ACP Group’s Committee of Ambassadors as well as the Ad-hoc Ambassadorial Working Group on the Post-2015 Development Agenda in 2014. BRUSSELS, Sep 24 2015 (IPS) - The significance of the issues covered in the post-2015 development agenda, to be adopted at the United Nations Sustainable Development Summit on 25-27 September, cannot be over-emphasized. For the 79 countries that make up the African, Caribbean and Pacific Group of States (ACP Group), the post-2015 agenda not only recognizes the reality faced by hundreds of millions amongst its populations who live in poverty, but also takes into account the aspirations of these nations to innovate and industrialize, to be energy-efficient, and to attain sustainable economic development while protecting the environment and natural resources for generations to come. For the first six months in 2014, I had the pleasure of chairing the ACP Group’s Ad-hoc Ambassadorial Working Group on the Post-2015 Development Agenda. Our mandate at that time was to work closely with the European Commission to develop a Joint ACP-EU Declaration on the Post-2015 Development Agenda. It was indeed a milestone that after many informal and formal meetings with our EU colleagues, at the technical and ambassadorial levels, the ACP-EU Council of Ministers adopted a Joint Declaration on the Post-2015 Development Agenda last June – representing the views of 107 countries of the world. This joint document underlined the persistent and unique vulnerabilities of ACP countries, including amongst its membership 37 Small Island Developing States (SIDS), 40 Least Development Countries (LDCs), 15 Land-locked Developing Countries (LLDCs) as well as those recovering from conflict and political instability. While many countries have made significant progress in the achievement of the Millennium Development goals, others have not been so fortunate. It is for this reason, and many others, that the development agenda will have to be ambitious and transformative. As the ACP Group, we expect that the development agenda will address, among other issues: 1) basic living standards and a life of dignity for all; 2) inclusive and sustainable economic growth; 3) the sustainable use, management and protection of natural resources; 4) good governance, equality and equity; and 5) peaceful and stable societies which are from violence. Moreover, the adverse impacts of climate change poses immediate and long-term significant risks to the efforts of all developing countries, however this threat is particularly acute for SIDS, as evidenced by the devastation to the Commonwealth of Dominica, a small island in the Caribbean, after the passage of tropical storm Erika just last August. Any post-2015 framework must, therefore, take into consideration the SAMOA Pathway (concluded at the Third International Conference on SIDS) to ensure that specific attention is given to the most vulnerable, in this respect. In addition, the post-2015 development agenda must address issues related to science, technology and innovation. Technology development, the transfer of technology on mutually agreed terms and capacity building must be addressed. It is my belief that, in order to ensure that the development agenda is implemented by developing countries, especially those of the ACP Group, adequate and predictable financing from a variety of sources is critical and must be forthcoming. There is need to address in a comprehensive manner avenues for financing such as domestic and international public resource mobilization, debt sustainability, innovative financing and mobilization of private financial and investment flows. It is also a fact that, for many ACP countries, official development assistance will remain an important source of financing and in that sense developed countries must fulfill their commitments of providing 0.7 percent of Gross National Income as Official Development Assistance. At the same time, we must also be willing to think out of the box and engage in non-traditional ways of approaching development strategies, which can complement the North to South flow of development assistance. In this regard, South-South Cooperation – which refers to the exchange of resources, knowledge, technology and experience between or amongst developing countries – is gaining increasing interest in global discussions on fighting poverty and promoting sustainable development. In the same vein, Triangular Cooperation engages a third party – usually a developed country – which also enters the partnership by sharing its own resources and expertise. The ACP expects a successful and ambitious outcome at the Summit, and we call for an inclusive and effective global partnership to underpin the post-2015 development agenda. This is integral for the international community to be able to address in a coherent, integrated and balanced manner, the environmental, social and economic dimensions of sustainable development. We stand ready to work in collaboration with relevant stakeholders at the national, regional and international levels, including inter alia, civil society and the private sector, to ensure the implementation of the post-2015 development agenda with the aim of improving the lives and livelihood of our peoples. innovative financing and mobilization of private financial and investment flows”. If this address take into account the natural ressources of concerned countries and propose an Equitable Governance of the Global ressource of the World”, it will be a real new avenue that can lead us to the development of the ACPs countries. When interest are divergent, it comes very difficult to find in the framework of ACP/EU a right way to access to the development of the both.